In case you haven’t already met our seasonal part-timers, here’s your chance to get to know a little about them. Gail: So what brought you guys to San Juan Island? Nick (the one on the left): I got a job as a sea kayak guide with a local outfit. And, well, I wanted a chance to explore and live in a new place. Sam (the other one): I am also here as a sea kayak guide. Sometimes my guests ask what brought me here, and I say ‘I’m here for the sunsets.’ I think a lot of people are here for the marine wildlife, but my favorite part of being a sea kayaking guide is kayaking during sunsets. Gail: Where are you from originally? Nick: I’m originally from New Gloucester, Maine. I went to school in New Hampshire and just graduated. Nick: Thanks. Actually, I missed graduation by four days to fly out here in time for the kayaking season to begin. Sam: Well I grew up in Mount Vernon, and I went to school in La Conner. So I’m only about a half hour from the ferry terminal either way you cut it. Gail: What do you think about our island? Sam: Growing up, my family would usually spend Fourth of July on Lopez. So I’m pretty familiar with Lopez, and I’ve been to San Juan itself a couple of times. But growing up I really liked the San Juans, just like anyone who comes here. I remember saying in 4th grade that I wanted to move to the islands, and now here I am. Nick: Hmm. Well I’ve become well acquainted with my bicycle and gotten to check out some of the spots and natural areas on the island. The islands here are larger and a little more developed, from what I’ve seen, when compared to the islands off the coast of Maine. Generally drier, too. The water is much more dynamic, and the currents are much more noticeable here. I think American Camp is my favorite spot on San Juan Island. It’s so different – really huge open meadows. It’s a pretty part of the island. Gail: And what’s been your experience at Dancing Seeds Farm? Nick: Dancing Seeds has been very welcoming and easy going. Everyone is really flexible with my sea kayaking schedule and how varied and sporadic that can be. I’ve done a lot of garden work and spent several hours on the lawn mower. I got a bunch of trees in the ground with Greg. And I’ve done a bit of carpentry work, too, including a bench for the Zen garden and a table/bench set for the bunkhouse porch. 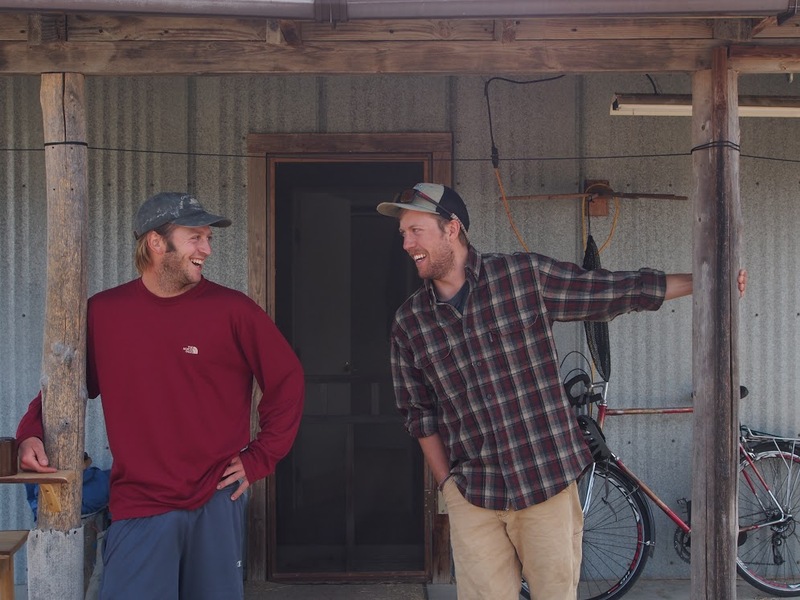 Sam: San Juan Island has felt like home this summer, and the farm community has been awesome. It’s such a great time coming back from kayaking trips and having Greg, Zach, Courtney, and Nick here to hang out with. And not just hang out, but work together in the garden and fields. At the beginning of the season we cooked a fair bit together, and as the kayaking season slows down a bit I hope to do some more interesting cooking with extra farm produce. I’m really excited for the ripening hot peppers and for the squash this fall. It’s so cool to see all the work that we’ve put in, paying off. Gail: We’ve really enjoyed having both of you around this summer and getting to know you. We’re also super grateful for all your hard work. I hope you’ll keep in touch, and if you wind up spending more time on the island in the future, come visit us often!